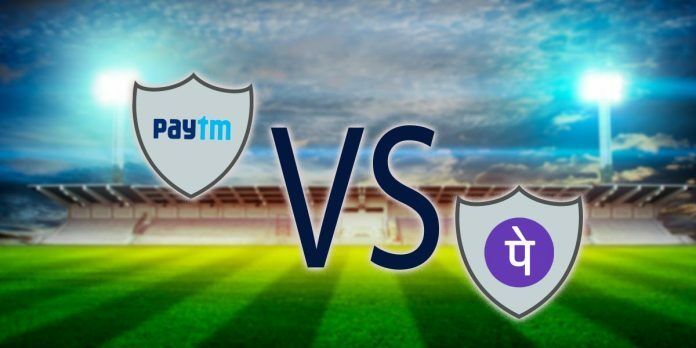 Paytm’s $29 Bn GTV run rate Vs PhonePe’s $20 Bn: Who will claim digital payment crown? With a quick adoption of UPI and other digital money transfer and payment modes, the battle for acquiring more market share between Flipkart-owned PhonePe and Paytm has been escalating. Both companies claim lead over each-other in terms of UPI volume and other metrics. Announcing the annual gross transaction rate, both entities have given their Gross Transaction Value (GTV). While Paytm had claimed $29 billion GTV through wallets, UPI, and bank transfers, PhonePe announced that it had crossed $20 billion annualised total payments volume (TPV). For uninitiated, an annual run rate is based on the current monthly volume processed by both companies. Paytm claims to have 300 million registered users while PhonePe claims to garner 100 million users in 21 months. Importantly, when it comes to eKYC completed users, the Alibaba-backed company has a little over 100 million verified users. PhonePe has emphasised that its 30 million customers had performed 60 million transactions through Unified Payments Interface (UPI) on its app. Besides, PhonePe claims driving over 70 per cent overall merchant UPI transactions. The average transaction value on the platform varies between Rs 1800-2000 which shows that users don’t shy in performing high-value transactions. Paytm doesn’t give ATV figure which has been a matter of contentions for PhonePe. The Sameer Nigam-led company had alleged that media narrative around Paytm lead in UPI was narrowly focussed on volumes not value. According to a company blog post, the average transaction value (ATV) for Paytm was about Rs 38 while for PhonePay it stood at Rs 1,800. Meanwhile, claiming a lead over PhonePe and its partner YES Bank, Paytm had processed 33 per cent share in overall UPI transaction in April. The Noida-based company UPI-based transactions touched 190 million during the same month. On the lines of e-commerce battle between Flipkart and Amazon, fight for digital payment crown is being fought between Paytm and PhonePe. Interestingly, Google Tez has also been claiming significant growth. FreeCharge and MobiKwik also had launched their UPI versions. With WhatsApp is slated to open its UPI-powered feature soon, the digital payment space is poised for more competition. Paytm data was taken from Financial Express via PTI while PhonePe figures are sourced from press statement.